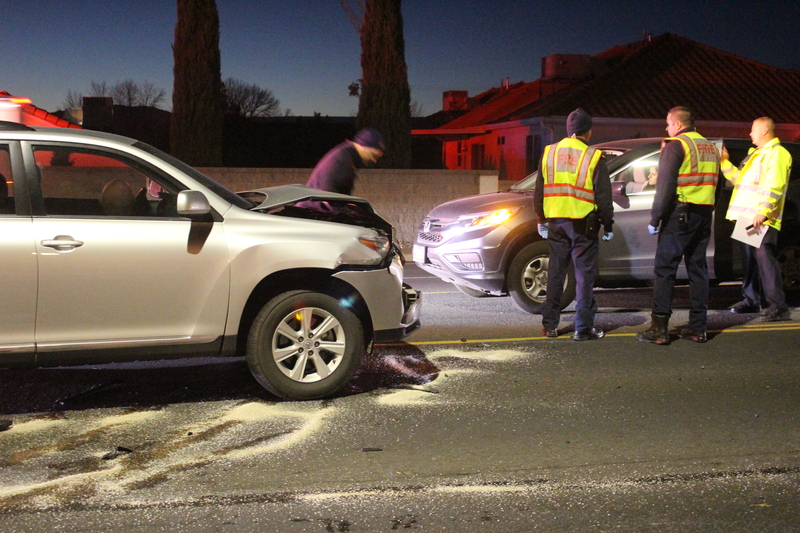 ST. GEORGE — A driver was injured and sent to the hospital after reportedly rear-ending an SUV in front of her that had slowed down due to heavy traffic. At approximately 5:53 p.m., St. George Police were dispatched to River Road just north of where it intersects with 900 South on a report of a collision in the middle of the road. A 24-year-old woman driving a blue 2016 Honda CRV SUV was northbound on River Road on the inside lane of traffic when she slowed down due to traffic in front of her. 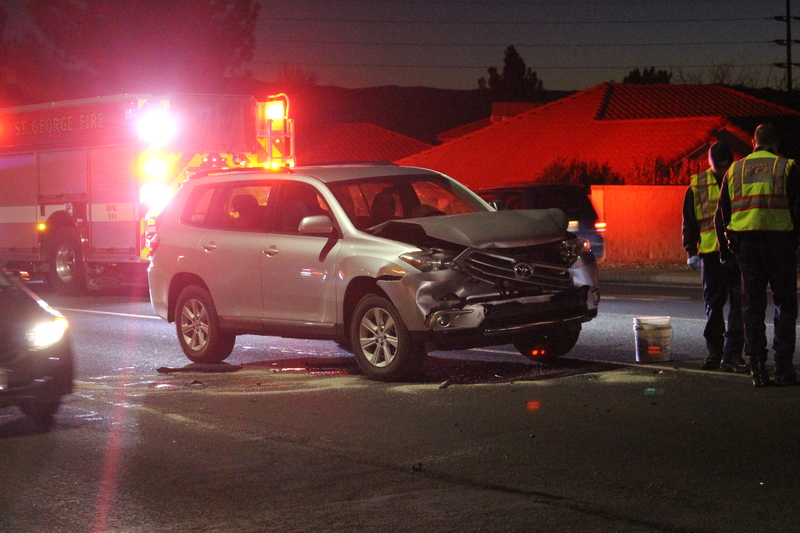 As she slowed down to about 30-35 mph, a 34-year-old woman driving a silver Toyota SUV hit the Honda in the rear bumper, St. George Police Officer Lona Trombley said. The driver of the Toyota was transported to the hospital by Gold Cross Ambulance and told emergency medical personnel that she did not remember what happened, Trombley said. No injuries were reported by the occupants of the Honda, including two small children ages two and three. Everyone involved was wearing a seat belt at the time of the crash. Airbags deployed in the Toyota and it sustained heavy front-end damage, requiring it to be towed. The Honda sustained minimal damage and was able to be driven away. The driver of the Toyota was cited for following too closely, Trombley said. Northbound traffic was briefly blocked, but police arrived quickly to get traffic flowing again, which was slowed due to the blocked inside lane. Emergency crews from St. George Fire arrived to clean up a heavy fluid leak from the Toyota as it was prepared for towing. This accident could of been so much worse than it was I’m so glad no one was hurt and they will all be able to be home with their loved ones and enjoy the wonderful festivities of the holiday season. .Praise the Lord !